Two of Bali’s most unique religious festivals happen to fall on New Year’s Eve this year, and we cannot wait to share them with you! ★ Tumpek Landep Festival – The Balinese religious festival for metals! ★ Tumpek Wayang Festival – Balinese Art and Creativeness religious festival! What is Tumpek Landep? It’s a Balinese religious festival that celebrates metals. Sounds pretty cool, right? You can click here and a new tab will open with more information! And Tempek Wayang? Short answer: A Balinese religious festival that celebrates and pay homage to the god of Art and all things creative. Long answer is in a new tab that you can open by clicking here. Because it’s New Year’s Eve, we have created this tour for those who prefers to party for their dinner and evening, but also would like to spend the day time enjoying the unique Balinese culture! The day will start nice and early in order to have the most authentic Tumpek Landep Festival experience. Tumpek Landep is a Balinese religious festival that celebrates that celebrates and honors Lord Shiva Pasupati, the god of iron, steel, and weapons. The festival is so unique because it involves a large amount of metals. You can read more about it here. After Tumpek Landep, we’ll first have to make sure you have what widely considered the best Babi Guling (Suckling Pig) on the island, and then take you to experience the lively Tumpek Wayang Festival – A religious festival dedicated to Art, and creativeness! (See here for more about Tumpek Wayang). 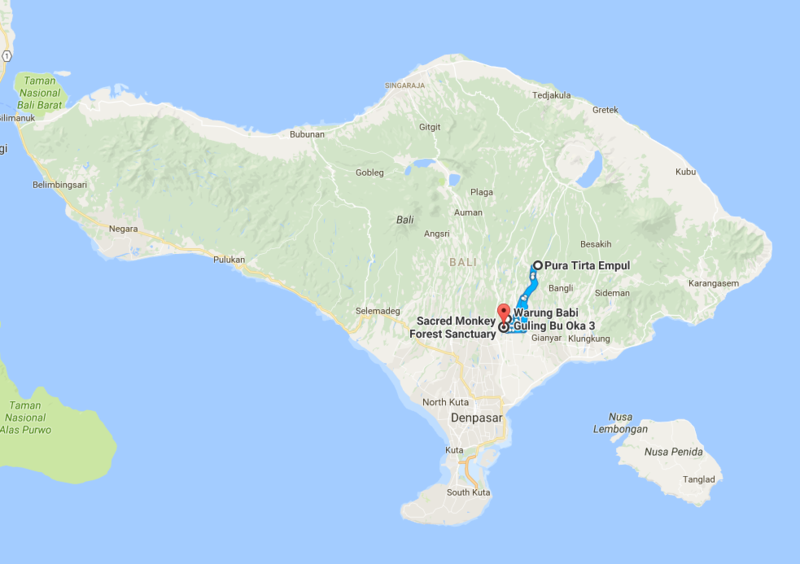 The next stop is the nearby town of Tampaksiring to visit the holy spring temple, Pura Tirta Empul. At the Pura Tirta Empul, you can see local Balinese Hindus go in the water for ritual purification. The temple was first built around a large water spring in 962 A.D.
After the holy spring water, we will take you back to your accommodation so you can unwind a little before you start getting ready for your New Year’s Eve evening!